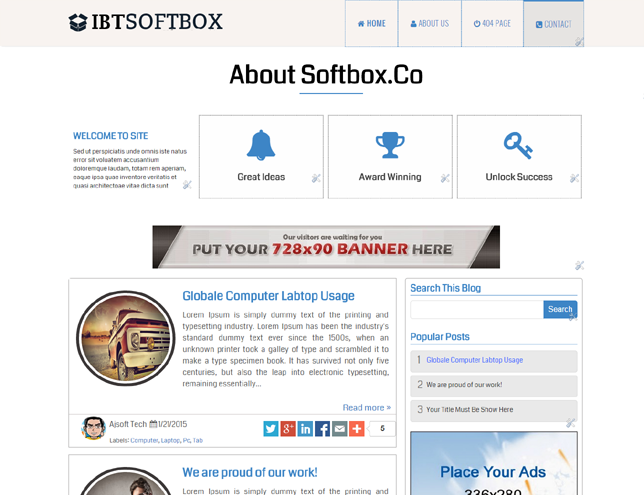 IBT Softbox is a new blogger template. This theme has totally fresh look. It has new menu design with "Font Awesome icons". It is ads compatible theme. The features of IBT softbox are Fancy menu, Custom Widgets Ready, Social Share Bar, About Page, Contacts Page, 404 page, SEO Optimization. This theme has awesome footer with animation.